Short of flying to Egypt, a once-in-a-lifetime chance to know what it must have been like to discover a pharaoh’s tomb is just three hours away from Vancouver. The Pacific Science Center is a set of five buildings with King Tut’s exhibit in Building 4. As you line up, you are advised that there are no restrooms (or “washroom” in Canadian lingo) inside the exhibit, so do your thing. Although later, I heard a guard mercifully giving a “restroom pass” to an older visitor. Second, once you leave the exhibition, you are not allowed to go back in. You can stay and wander within the exhibit as long as you want, which I did for around two hours, but be forewarned there are only a couple of benches. From the outside, the public is led into a dark foyer where your ticket-timed group would be shown an introductory video narrated by actor Harrison Ford of theIndiana Jones film series, how apropos! The two-minute film with its evocative soundtrack sets the mood and heightens the excitement of what lies behind. Then the wide doors open to dimly lit chambers revealing sculpted images of ancient Egypt’s who’s who or “it” BCE: a huge bust of Amenhotep IV - King Tut’s father, a sarcophagus that held a “royal” cat, statues of prominent pharaohs, including Khafre, builder and the face of the Great Sphinx; Hatshepsut, the queen who became a pharaoh; and Ramesses the Great. BCE or Before the Current Era is the secular alternative and numerically equivalent to the calendar designation BC or Before Christ. Towering over everyone, the first sight of Tutankhamen, a 10-foot quartzite statue found, not at “the boy king’s” tomb – that would have been a giveaway - but at the site of the funerary temple of his high officials. I was gently warned by the guards that I can take pictures but no flash. Then a tunnel leading to a gallery of Pharaoh’s Gold, not King Tut’s. Dead center in the room is a brilliant gold funerary mask (gasp) of Psusennes I, an Egyptian King much later than Tutankhamun. Ancient Egyptians believed the pharaoh in the afterlife assumes a skin of gold. Another short film, that of British archeologist Howard Carter, who discovered “the boy king” tomb in 1922, prepares the public for the grand showcase – a layout of the four chambers of the tomb: the Antechamber, Annex, Treasury and the Burial Chamber. What makes this exhibit so engrossing is that pictures of the exhibits as they were found in the actual chambers in the 1920s can be viewed beyond the glass cases. But hold the first superlative for the Treasury where the dazzling gold canopic coffinette, one of four miniature coffins made me go around and gaze several times. This one originally contained the stomach of King Tut. And finally, the Burial Chamber with the (gasp gasp!) gold sandals (what looks like a men’s size 12 -King Tut was 5 foot 11 inches tall ), gold cobra collar, gold covers for the fingers and toes – gold, gold everywhere - what incredible wealth! In fact, the whole collection of King’s Tut’s treasures considered priceless, if estimated in modern currency would be worth at least US$ 50 billion. A bit anticlimactic is the absence of King Tut’s funeral mask and gold throne which toured through the United States in 1970s. Egypt will never allow these objects to leave the country again. However once outside the burial chamber which ends the paid exhibition, and beyond the King Tut gift shop where you can buy the striped pharaonic headdress, is a fascinating 3D reconstruction of King Tut’s mummified body, A video and boards show the genealogy and possible cause of the death of “the boy king” at 19 years old. For exhibition hours and ticket information, go online (www.pacificsciencecenter.org). You can also buy tickets at the gate; prices are the same (adults 16 -64 $27.50 Mon – Thurs, $32.50 Fri –Sun). The tickets are for a specific date and time. If your tickets says 11:30 pm you will not be allowed in till then. However I was told that the gate does give a grace period depending on the crowd. It is best to pre-book and go on a weekday. An audio tour narrated by actor Harrison Ford is available for a minimal charge. To get more online information of the exhibit, see www.kingtut.org. 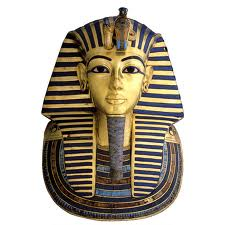 To experience virtually King Tut’s tomb, you tube “King Tut”. No food or drinks are allowed inside the exhibition. There is a Museum café but expensive: two boiled eggs for US$ 2.50, sandwiches around US$ 7.00 each. Better get a Pacific Science Center re-entry pass, and walk just across the Center’s gates to the Seattle Center food court. Pacific Science Center is at 200 Second Avenue North, Seattle next to the Space Needle. There is plenty of covered parking ranging from $10 to $12 a day. However if you want to save, drive towards 1st avenue - there are open lots ranging from $5 to 7 for a day, that is if you clock in before 9:30 am during weekdays. Whether you are 8 or 88 years old, you will enjoy other exhibits in the Pacific Science Center (it comes with your King Tut ticket) such as the Tropical Butterfly House and the absolute fun Body Works where both adults and kids, including me, were vying for time to try some of the hands-on modules telling you how strong you are or weak, how balance or not, and much more. Body Works is like a very entertaining physical exam without the stress.